A new face will be representing the Labour Party in Banbury at the next general election. Party campaigner Suzette Watson was selected as the prospective parliamentary candidate at a hustings meeting at Banbury Town Hall on Saturday (April 6). She beat Sean Woodcock, the Labour candidate in the past two elections and group leader at Cherwell District Council, and Oxford councillor Jamila Azad. 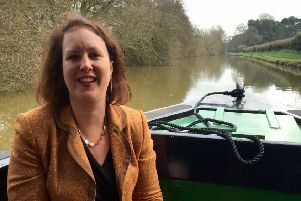 “I’m humbled and so thrilled to have been selected as Labour’s Prospective Parliamentary Candidate for Banbury, Bicester and our villages,” she said. “We are going to fight with all our passion and strength to get the Tories out of office. “We will be working together across the constituency to reach out to and connect with every voter. “When people know about our brilliant Labour Party policies they’ll love them; policies, which will transform our communities, and give our people back the services they deserve and need to thrive. Mrs Watson will be hoping to become the constituency’s first Labour MP, with the Conservative Party holding the seat since 1922.